Are you tired of your Porsche Dealership? If so, give Spotlight Automotive in Chicago, IL an opportunity to prove to you what a great import automotive shop we are. Our top priority is our customers. We strive to go above and beyond with every Porsche Repair and Service. Our ASE Certified technicians have all the latest tools, technology, and diagnostic equipment available to make sure every Porsche repair service is precise and accurate, every time. 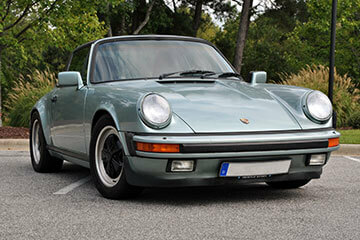 We specialize in luxury vehicle repair and maintenance and furthermore, we are Porsche enthusiasts as well. Your purchase of a Porsche shows your knowledge of automobile engineering at it finest. For the same reason, you want no one but the best to work of your fine luxury German vehicle. Check us out today and see why so many choose Spotlight for their Porsche repair and maintenance needs. We are Chicago’s dealership alternative for Porsche repair service since 2008. From the classic 911 and Boxster to the more modern Panamera, our mechanics have the knowledge to work on all Porsche makes and models. At Spotlight Automotive, we consistently beat dealership estimates by 40%. Our technicians are dedicated to quality Porsche repair and maintenance. Therefor, we only use factory approved OEM Parts. Ensuring nothing but the best, parts go into your Porsche repair service. Not only do we complete outstanding repairs, but also provide collision repair. Overall giving you no reason to go to an over priced dealership. Dealerships cannot give the personalized attention that you and your vehicle need and deserve. Keeping your vehicle up to date on all maintenance and scheduled services is important to ensure the performance, capability, and lifespan of your luxury vehicle. Our ASE certified technicians will custom tailor a personalized factory scheduled maintenance plan that fits both your vehicle and driving habits. Maybe you drive your Porsche daily for work or maybe it’s just a weekend car. We will make sure your Porsche stays in prime condition ready for whatever driving adventures you choose. Keeping up with maintenance not only keeps your Porsche in prime condition but also helps retain the value of your vehicle for years to come. Stop by today for your personalized factory scheduled maintenance plan. Keep your Porsche running in top condition with proper Porsche repair and maintenance from experienced mechanics. Our team of repair specialist is on hand to help you with any questions. We offer a 24 month / 24,000 mile warranty on all parts and lifetime warranty on labor. Local shuttle service is also available for your convenience. Check out our FAQ Page for common questions and concerns. Call or schedule your appointment online today!